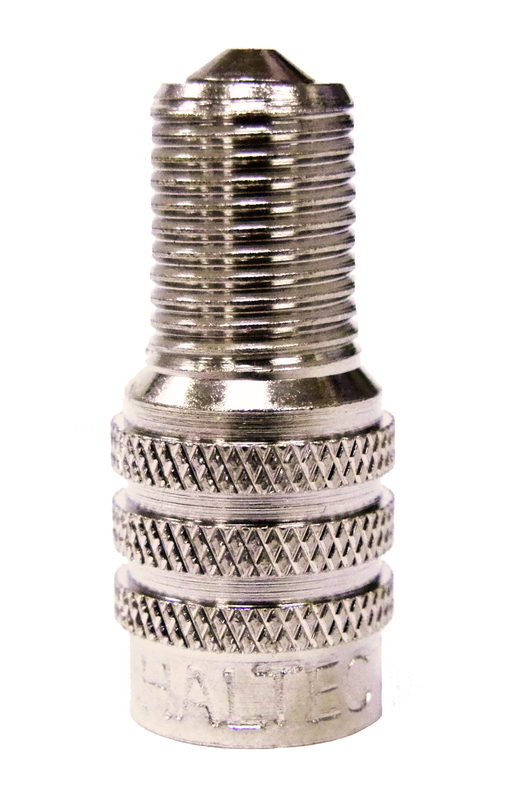 For over 45 years, Haltec Corporation has been the leader in the tire valve industry. When underground mines were transitioning from rail wheels to rubber tires, Haltec was there to design and manufacture the tire valve systems required to meet their technical needs. 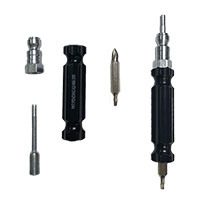 Haltec maintains its leadership position as a major manufacturer of specialized tire valve systems. Many new product innovations were introduced by Haltec, including the Full-Flo and Super Large Bore valve designs. These designs provided the tire industry the unique products required to achieve faster flow rates, decreased downtime, and more efficient tire management. 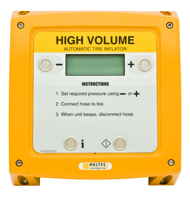 The ever-increasing size of mining and construction tires further challenged Haltec engineering to design and manufacture our wide variety of valve systems to meet these demands. This includes the Mega Bore Tire Valve System, which has a flow rate twenty-five times faster than large bore valves. 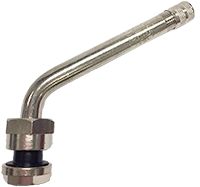 Straight Clamp-In Truck & Bus Valve 3 3/4"